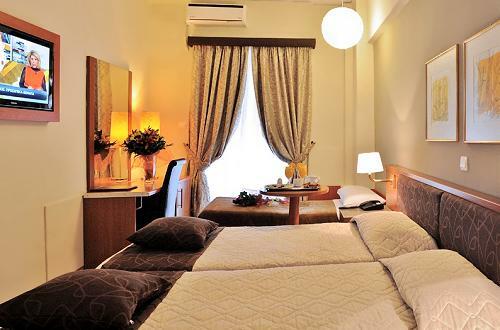 The Acropolis Select offers accommodation of an enviable standard. All 72 rooms are furnished in a modern, comfortable and pleasant way, with private facilities (bathrooms with half or full bathtubs, shower hose and W.C), toiletries and rich towels, hairdryer, LCD TV set with local, satellite and radio stations, individually controlled A/C, mini bar, safe box, broadband Internet access, soundproof windows and private balcony. All rooms are doubles (twin beds or one double), and the triples are doubles with an extra folding bed. Singles do not have a balcony, only a window. There are non-smoking rooms available. Rooms with connecting doors for families are available only on the first floor. Baby cots are provided upon request. 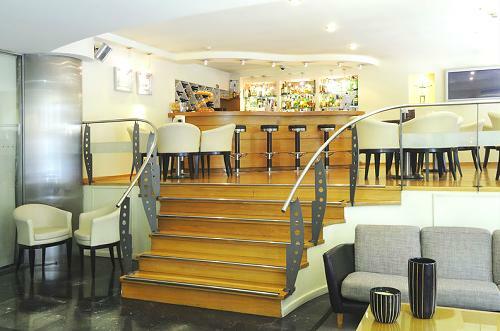 The hotel has a small yet tastefully decorated reception lounge and bar. 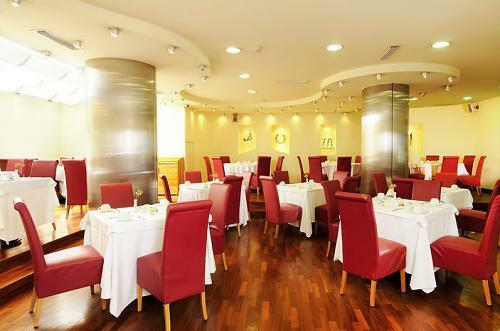 The breakfast room is also beautifully designed and decorated and operates as a restaurant too (a la carte). Breakfast is rich American buffet. 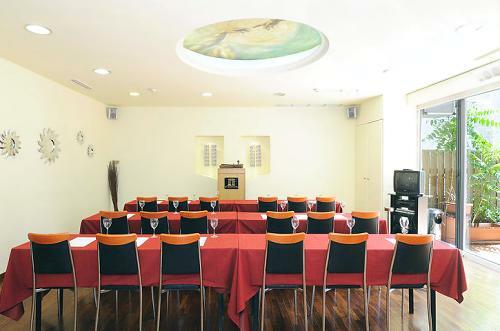 There is a conference room for up to 60 people, fully equipped and with a small patio, where a coffee brake can be made. Free and unlimited Wi-Fi access is available in all public areas of the hotel. Parking facilities are available right next door. Acropolis Select is a very good hotel with a great location, a short walk to Plaka, the Acropolis and all major sites in Athens. 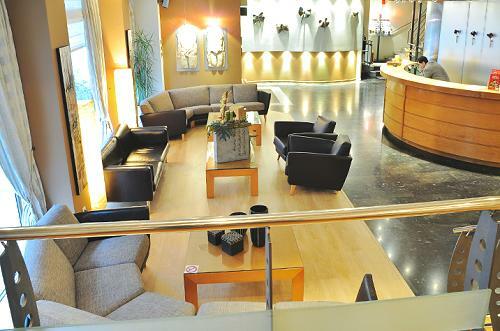 The hotel is comfortable and location is great, walking distance or easy ride by tram to main tourist destinations. it was a nice hotel, we were happy to be there for a night. Breakfast was good as well.